On Sunday Matthias and I went for a long walk in Vienna. We started at Westbahnhof, went to Volkstheater, then to Volksgarten, into the first district, over Kärntnerstraße to the Ring and then over the Mariahilferstraße home. It is amazing to live in the city centre. It was not that cold and only the wind was blowing a bit. And after 90mins of walking around I was very warm when we got home again. 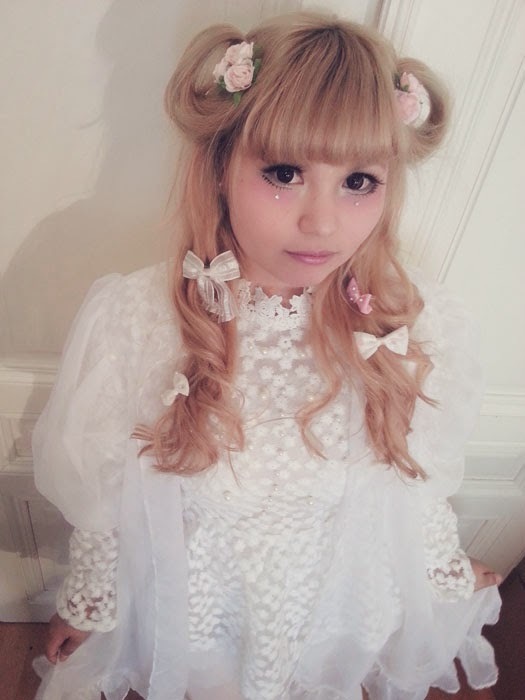 The first picture is Saaya Hayashida. My make-up is inspired by hers. She wears grey/light blue? eyeshadow, fake top and bottom lashes, white under her eyes and pink underneath and pink lipstick. The second picture is from the Swankiss shop. 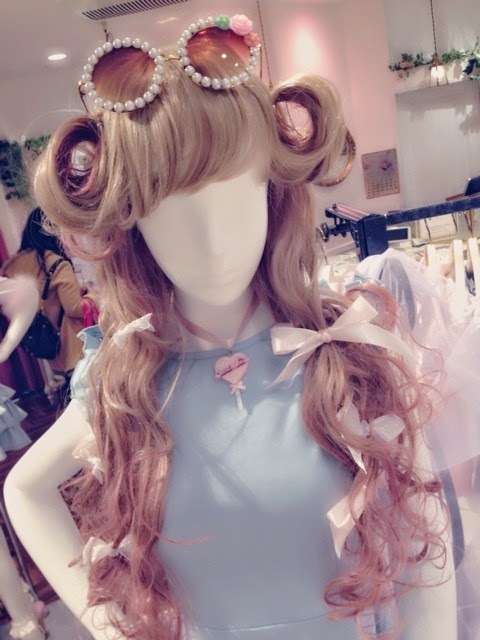 It has wavy hair at the bottom, lots of ribbons, loops on the side and the bangs are curled. 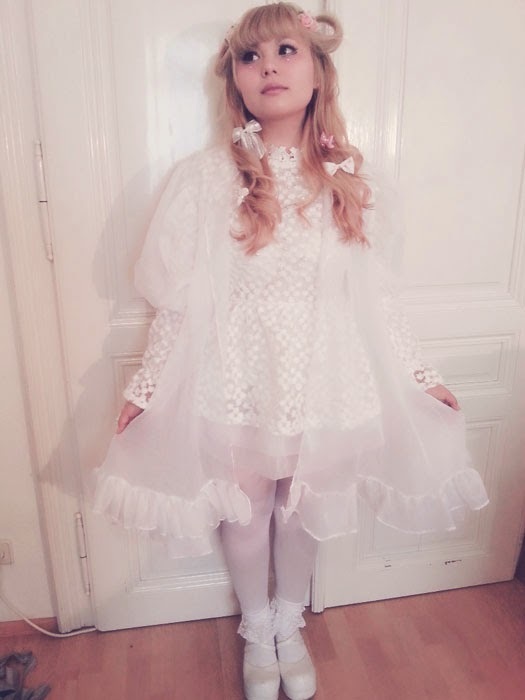 The dress underneath is from a shop in shibuya 109 (forgot which one..) and the top, a peignoir, is selfmade. 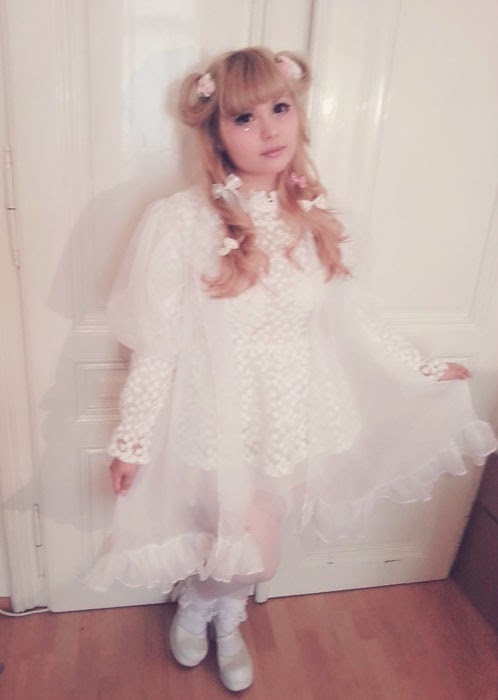 Socks are from bodyline and the shoes are from an-te-na. Hairclips are from claire's and primark. I like both styles! But wearing them in public or everyday would be too much for me. I would feel incredibly uncomfortable. But for meet-ups, it's totally fine!